The third maze in the series appears to have been an experimentation with starting in the center of the page and moving out to the edges. The areas that are colored black, while usually considered a no-no in maze doodling, actually look quite nice here. There is some Photoshop editing on the right edge where the paper was somewhat damaged and the lines didn't show up in the scanned version. 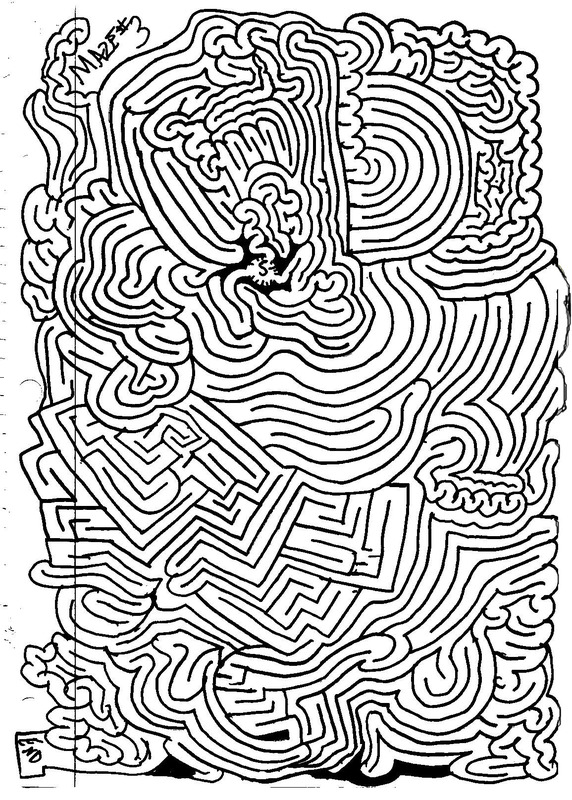 The third maze was created using a thick black pen on notebook paper ripped from a spiral notebook (note the line down the left side that would be red if this were a color scan). 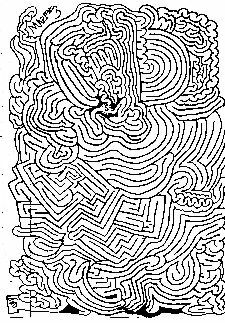 The thick black pen led to larger features and, one would imagine, an easier maze to solve. Click on the picture for the full size (745kB) version.